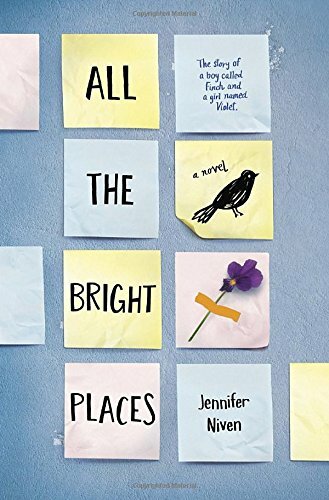 Jennifer Niven’s ‘All The Bright Places’ epic YA lit is hitting the big screens. – MP! First comes novel, then comes screenplay, then we get a movie that we can laugh and cry at everyday. (We can rhyme too, so talented). Well this is exactly what is happening to Jennifer Niven who has recently announced the exciting news that ‘All The Bright Places’ is going to be turned in to a movie. The younger Fanning sister Ella will be appearing and directed by Miguel Arteta who you usually find working his magic behind the television cameras. Jennifer will be writing the screenplay based on her best selling book. A tale of life, death and the friendship in between is what to expect. We’re 100% sure it’s going to be epic. Previous article Watch: 5SOS’ Michael is missing his puppy and they’ll release new album ‘later this year’. Next article The Weeknd can’t feel his face, no wonder as he is literally on fire in this brand new video. Ella Henderson previews brand new track from movie ‘Despite The Falling Snow’. Watch: 5SOS’ Michael is missing his puppy and they’ll release new album ‘later this year’.